(November 30, 1912 – March 7, 2006) was a groundbreaking American photographer, musician, writer and film director. 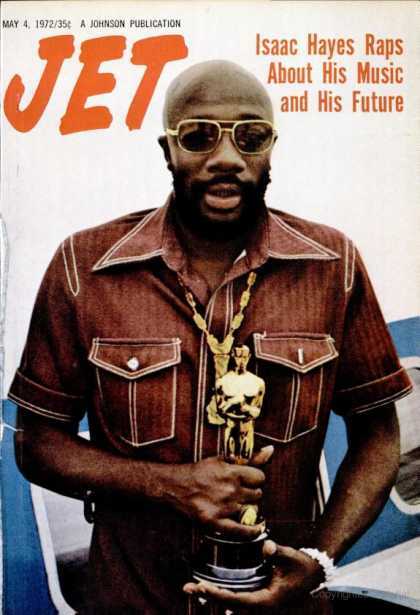 He is best remembered for his photographic essays for Life magazine and as the director of the 1971 film, Shaft. In the 1950s, Parks worked as a consultant on various Hollywood productions. He later directed a series of documentaries on black ghetto life that were commissioned by National Educational Television. With his film adaptation of his autobiographical novel, The Learning Tree in 1969, Parks became Hollywood's first major black director. It was filmed in his home town of Fort Scott, Kansas. 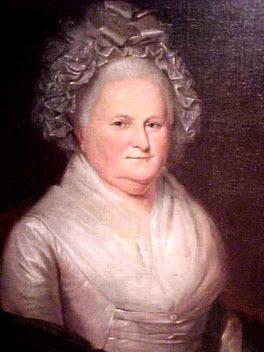 Parks also wrote the screenplay and composed the musical score for the film. Shaft, a 1971 detective film by Parks starring Richard Roundtree, became a major hit that spawned a series of films that would be labeled as, blaxploitation. Parks' feel for settings was confirmed by Shaft, with its portrayal of the super-cool leather-clad, black private detective hired to find the kidnapped daughter of a Harlem racketeer. Parks also directed the 1972 sequel, Shaft's Big Score, in which the protagonist finds himself caught in the middle of rival gangs of racketeers. Parks's other directorial credits include The Super Cops (1974) and Leadbelly (1976), a biopic of the blues musician Huddie Ledbetter. 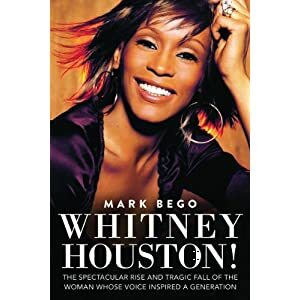 In the 1980s, he made several films for television and composed the music and a libretto for Martin, a ballet tribute to Martin Luther King, Jr., which premiered in Washington, D.C. during 1989. It was screened on national television on King's birthday in 1990. In 2000, as a homage, he had a cameo appearance in the Shaft sequel that starred Samuel L. Jackson in the title role as the namesake and nephew of the original John Shaft. In the cameo scene, Parks was sitting playing chess when Jackson greeted him as, "Mr. P."
I remember meeting him in Chicago IL promoting The Learning Tree and he Inspired me to do ALL the fine things I do Today! Thank You Gordon Parks! 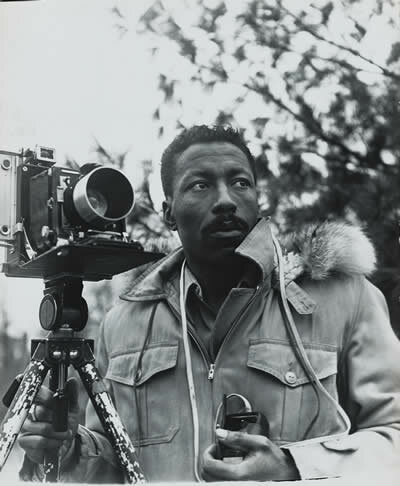 Today would be Gordon Parks' one hundredth birthday. 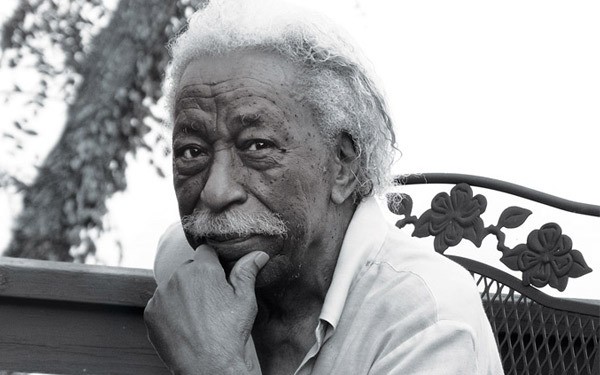 Gordon Parks was a friend to my family for more than forty years. He was a colleague of my grandfather, Phil Kunhardt, at LIFE Magazine, and a glowing presence in my home as a child. I remember his jokes, his pipe, his stylish clothes -- and the way he could relate to anyone, young and old. His genius, I think, was based on a respect and trust he brought to the people and issues that he photographed. He spent much time with his subjects, sometimes even living with them -- often in the harshest conditions. "I have to live with a family," he said, "so they accept me as a person, as a big brother or uncle -- so that they have confidence in me and I have love for them. And it is a lasting love." My grandfather spoke often about what made Gordon's work so unique and what set him apart from the work of other photographers at LIFE magazine. He was amazed that a largely untrained, self-educated image-maker was able to outpace so many other talented giants of the medium. His secret, my grandfather felt, was that unlike many of his peers, Parks had ambitions beyond the magazine -- he believed he was "working on a larger canvas." He had a vision of what he was after with his camera: to tell his children, his grandchildren -- everybody's children -- of the world he'd seen. In short, he wanted to make us better people. Throughout his life -- as a child, as a young black man and as a photographer unafraid to broach difficult subjects and go where others feared -- Gordon endured, and witnessed, terrible things. Sometimes he'd stare into the distance and fall silent. But he never stopped working. Throughout his 93 years, Gordon continued to create, as a writer, musician and filmmaker. 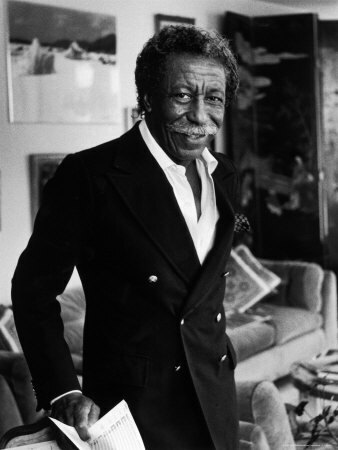 The Gordon Parks Foundation was created upon his death in 2006. Like other artists' foundations, we support the creation of exhibitions and the publication of books that feature Gordon's work. And we encourage research into his life and art. Beyond that, though, we keep his example alive, primarily through the support of education for young artists, ones who yearn to create in the same modes and media that animated him in his lifetime: poetry, photography, music, and cinema. By doing this, we hope to help future generations express themselves through art, advancing what Gordon described as "the common search for a better life and a better world." PETER W. KUNHARDT, JR., is the Executive Director of the Meserve-Kunhardt Foundation and The Gordon Parks Foundation. He is a co-author of Lincoln, Life-Size (Knopf, 2009) and Looking for Lincoln: The Making of an American Icon (Knopf, 2008). He is the co-editor of Gordon Parks Collected Works (Steidl, 2012) and Gordon Parks: A Harlem Family 1967 (Steidl, 2012).He served as co-curator for the exhibition Lincoln, Life-Size (Bruce Museum, Greenwich, CT, 2010) and guest curator for Gordon Parks: Portraits (The Gallery at Hermès, New York City, 2009). In 2009 he helped establish the Nikon/Gordon Parks Scholarship and the HBO/Gordon Parks Film Scholarship, which are granted annually to young artists. Growing up in the latter half of Mr. Parks legendary, spectacular career, I was enormously inspired by his direction of the iconic film SHAFT. The way the film was shot made the starring character played by Richard Roundtree, loom larger than life itself. I don't think there was anyone before Mr. 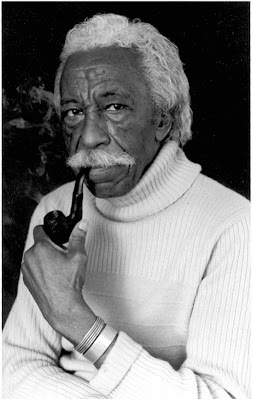 Parks who knew exactly how to light, shoot and frame a black man of Mr. Roundtree's complexion. It was beautiful!! Every time I watch the film, now on DVD...I feel like I'm in the movie, somehow, observing all the action and dialogue from a near distance!! Mr. Parks you inspired me to want to learn as much as I could about the art of storytelling. I won the Bill and Melinda Gates Millennium Scholarship and I was able to achieve 5 degree's and a certificate. One AA degree in Broadcasting for T.V., another AA from AI in Video/Media Production, one BA in Electronic Media Management, one MA in Education from Pepperdine, and I am currently working on my Doctoral in Education so I can pass on my knowledge. 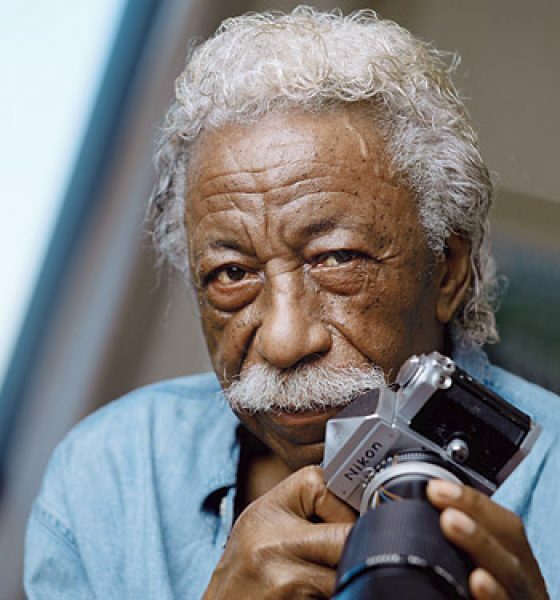 Thank you for lighting this flame in my heart, with all my love and admiration, I salute you Mr. Gordon Parks. expression. Thanks for being a guiding light and leading the way.